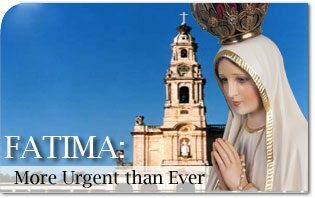 Those who insistently promote Our Lady of Fatima’s message might be accused of giving it a forced sense of urgency. To answer this objection, it may be helpful to review why Fatima is indeed a message that applies to today’s problems and thus more urgent than ever. 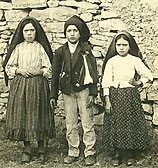 If there is any location where urgency would seem out of place, it would be the small village of Adjustral where Lucia, Jacinta and Francisco lived in 1917.The village life was calm and peaceful with a rich sense of Catholic community. Everyone knew everyone in the little village where life revolved around the local Catholic Church and the liturgical year.Indeed, most problems were local. Most people did not know what happened outside their little village, and they really did not want to be concerned with bigger problems. In fact, Our Lady does not really address these local problems in the Fatima message. While she spoke about the sins of men at the time, she did not ask them to change the village’s way of life. What Our Lady did speak about were the big problems that were starting to appear on the horizon. At the time of the message in 1917, the world was in transition. Huge political and cultural transformations were starting to appear that threatened the calm, small village life found in thousands of places all over the Catholic world. World War I had started and many villagers were fighting in that Great War. Portugal was in the throes of a modern communist revolution, Marxist propaganda was spread throughout the West, and hostility to the Church was growing. In addition to the change in political climate, Portugal and the world also faced a major cultural shift brought about by the ever increasing demand for frivolous and often immoral lifestyles reflected in the currents of the times. In his book, The Oxford History of the American People, Samuel Eliot Morison describes the roaring twenties as a decade that changed the morals and customs of the world much like the sexual revolution of the sixties. Hollywood entered the scene introducing a fast and loose pace of life to be imitated by everyone. Music became faster and looser. Jazz was the rock and roll of the times where, together with illegal alcohol and the introduction of the car, made the roaring twenties a promiscuous and dangerous time. Fashions became more revealing, informal and looser fitting. The arts and literature became ever more immoral and atheistic. Freud was popularized and justified the lifting of all sexual inhibitions. With increased communications between the nations, the twenties proposed a lifestyle for the whole world. Everyone wanted to be like the Hollywood stars they saw on the silver screen with their fast, easy and loose lifestyle without God, and fewer wanted to live like the villagers in Fatima. This cultural shift worked hand in hand with economic transformations. To support this new lifestyle, people wanted to have the latest in fashions, products and technology. Improved transportation gave industry the ability to extend its markets to include regional, national and international markets. Everything became big: big industry, big banks, big cities, big cars, big markets and big business. As a result, these enormous markets also necessarily created an enormous interdependence among those who entered the system. In this way, there evolved today’s huge interdependent global networks, telecommunications, the Internet, transportation, the postal service, banking systems and so many other networks that have come to dominate the world. These interdependent networks have undeniably helped produce the prodigious quantities of goods that flood today’s markets. It is not without reason that these networks are considered a cause of richness, a source of progress, a pillar of stability and a guarantee of security. However, they are also a source of an enormous fragility. By setting up these immense networks that everyone depends on, it necessarily sets up a world of vulnerable chokepoints. Such points might be physical places like the Straits of Hormuz; physical systems like the electric power grids and supply lines for natural resources like oil, gas, minerals and food; and virtual networks, instruments and systems like the Internet, financial derivatives and the credit-card system. These chokepoints are especially vulnerable because of the actions of people. All it takes is the concerted attack of an individual or group on these exposed points and it can bring these networks to a grinding halt. An entire system can suddenly be put at the mercy of a few. In ordinary times, such a perspective would already be quite alarming. However, in today’s times, where the sense of moral responsibility is disappearing. the probability of such irresponsible or immoral actions by an individual or group is greatly increased. Thus, with today’s moral crisis, the globalized interconnected world has suddenly become extremely weak and vulnerable. For example, the 9-11 attack was a semi-sophisticated operation involving terrorists and $5 box cutters. Today, one man can affect the whole world. Indeed, because of Richard Colvin Reid, the Islamic shoe bomber who tried to bring down an airplane, tens of millions of people have to take off their shoes every day to enter, not a mosque, but an airport. The credit system is another cited example. Unscrupulous bankers made loans they knew were risky. Unscrupulous buyers accepted loans they suspected they could not honor. The result is the ongoing crash of the vulnerable credit network. The crisis surrounding the blood thinner heparin underscores how the worldwide medical supply network has a chokepoint found in unethical Chinese suppliers. Today’s world faces a huge moral crisis. In other words, today’s world faces a huge moral crisis. The worse people become and the more interdependent the world is, the greater is the possibility of disaster. Without solid moral roots, the giant networks of interdependence are creating inside themselves the very elements of their destruction, and that is why Fatima is more urgent than ever. 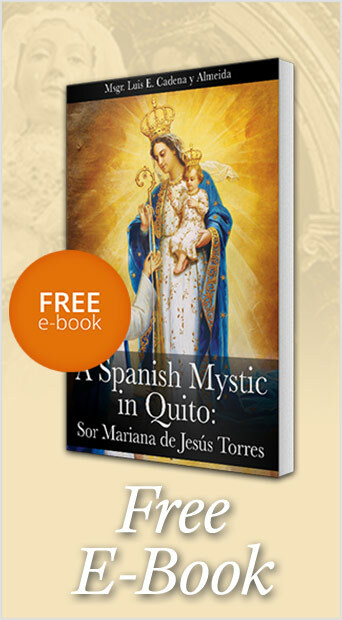 The only way out is to address the moral crisis that Our Lady spoke about at Fatima. Ironically, today’s systems help facilitate this call to action. Just as the irresponsible or immoral actions of a few individuals in today’s interconnected world can cause huge damages, so also the responsible, legal and peaceful actions of a few Catholics can have a huge effect for the Catholic cause when they use these networks for good. This entry was posted in Catholic Perspective, Fighting the Culture War and tagged amend, apparition, Catholic, Fatima, Fatima message, life, moral crisis, Our Lady, Our Lady of Fatima, penance, persecution, prayer, urgent, world by John Horvat II. Bookmark the permalink.